Surrounded by sea of delirious Wolves supporters. 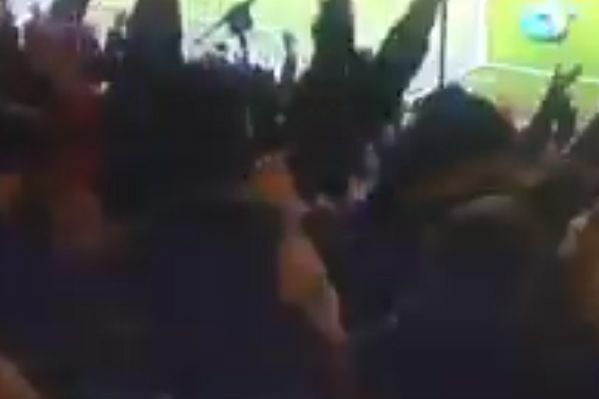 A Man Utd fan in the home end at Molineux was shown on TV turning away in despair when Diogo Jota scored for Wolves in their 2-1 FA Cup quarter-final win. Television coverage of Saturday’s match caught the moment in a replay of Jota’s winning goal, with cameras picking up the United supporter’s disgusted expression. Surrounded by a sea of delirious Wolves fans, he is left alone to his disappointment. The goal had put Nuno Espírito Santo’s men 2-0 up with just fifteen minutes remaining, Raúl Jiménez having opened the scoring shortly before. Marcus Rashford pulled one back for Man Utd deep into stoppage time, but Wolves held on to progress to the semi-finals of the competition for the first time since 1998.